During the past decade northern Europe has started to assume an identity of its own. Categories of East and West have become blurred, challenging as well the idea of what it means to be Nordic. Post-Cold War Identity Politics maps this process in Scandinavia. Looking at projects designed to help regional development in the Nordic countires, it assesses whether a new way of defining 'Northern-ness' is emerging. The book highlights the existence of co-existing and - to some extent - competing region-building projects in northern Europe. It demonstrates how they are all efforts by existing nations to redefine their role in Europe at a time of change, and points to how they might develop in the future. The Encounter Between the Nordic and the Northern: Torn Apart but Meeting Again? Regional Security: All or Nothing at All? Estonia and Europe: A Common Identity or an Identity Crisis? 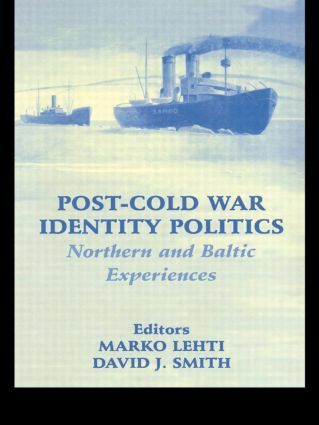 The Baltic States in Russian Foreign Policy Discourse: Can Russia Become a Baltic Country?